Here’s a snippet that shows how to launch a command-line program in a command prompt window, and keep the command prompt window open so you can see the output. Note that does not block Softimage. Basically, what this does is launch a cmd.exe process, and in that process, run the command “start cmd /K kick -licensecheck”. The second “cmd” is required to open a command prompt, where you’ll see the output of “kick -licensecheck”. Here’s some updates to the wire frame color script I posted last week. See that post for info on how to add a button to the color palette. First, I wanted to be able to pick multiple objects, one after the other. So I simplified the script by replacing most of the code with a single call to ColorizeObject, which does let you pick a sequence of objects. JScript doesn’t include anything like the #include statement, or like modules in Python. Note that if there’s any errors in the included code, you won’t get the right line numbers in the error messages. Then you just provide one custom command that returns an instance of the custom object to whatever code needs to use the helper functions. If you want to know the version of Softimage that was used to create the scene, you need to check the specific build number (and there’s a couple of ways to do that, we’ll get to that in a second…). 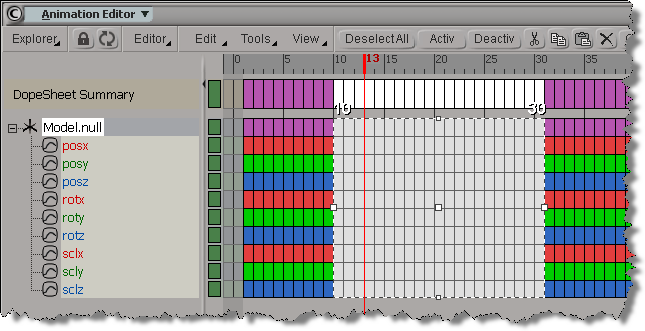 The compatibility version is more a property of Softimage itself than of the scene. 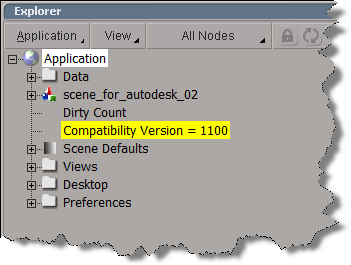 You can get the value of the project.CompatibilityVersion parameter, but it’s always going to be the compatibilty version of the current Softimage instance, not of the loaded scene. 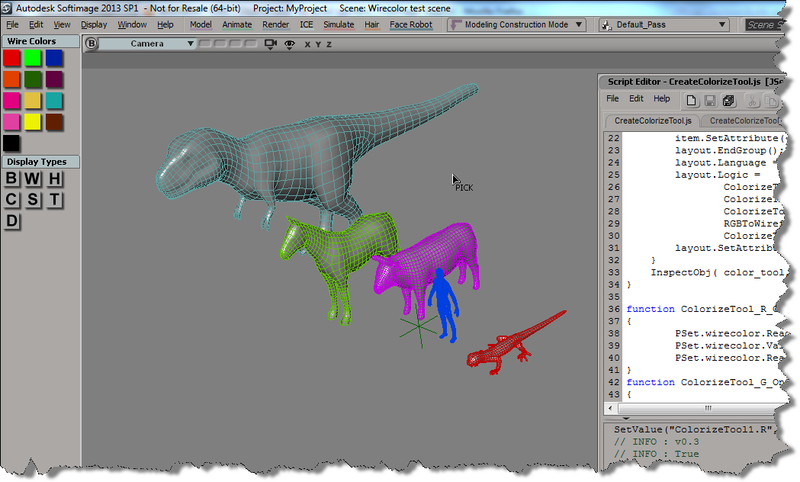 To find out the version of Softimage used to “build” a scene, you can use the printver utility, or look in the scntoc file. In this context, “build” means the version of Softimage that was last used to save the scene. I note that just opening a scene and saving it isn’t enough to bump up the build version. You need to do something to the scene, or at least do something and then undo it. If you don’t want to rely on the existence of a scntoc, you could use the printver.exe utility that ships with Softimage. Given a scene file, printver prints a message that looks like “This Scene was built with version: 11.0.525.0”. See the thread on the Softimage mailing list, which includes a VBScript snippet for getting the build version. Here’s a JScript snippet for deleting ICE trees from the objects in a group. 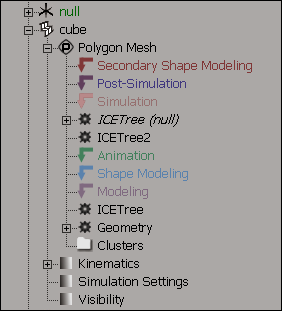 Note that the Primitive.ICETrees property returns all ICE trees that write to the object, including ICE trees on different objects (such as the italicized ICE tree in the screenshot below). To copy and paste keys in a script, you have to also call SelectKeysInTimespan() to select the keys you want to copy. s = ""; // Build string with necessary info.